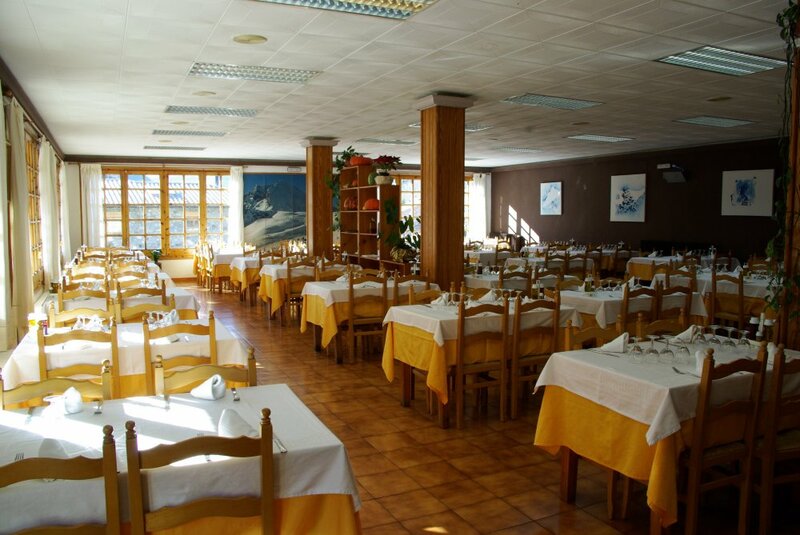 The restaurant has a large room with a chimney and a lot of windows. 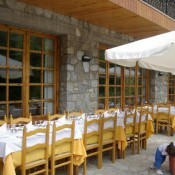 It is large and has a capacity of 150 people. 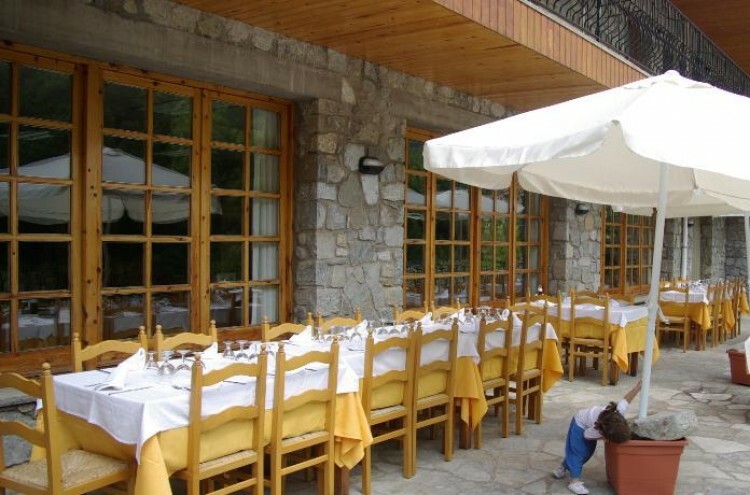 It offers an outdoor terrace with up to 30 people who can enjoy the sun and the summerair, and also a private dining room with a capacity of 50 people with reservation. 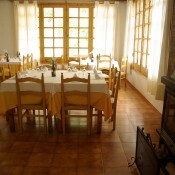 Dining room with fireplace and large windows for 150 people. 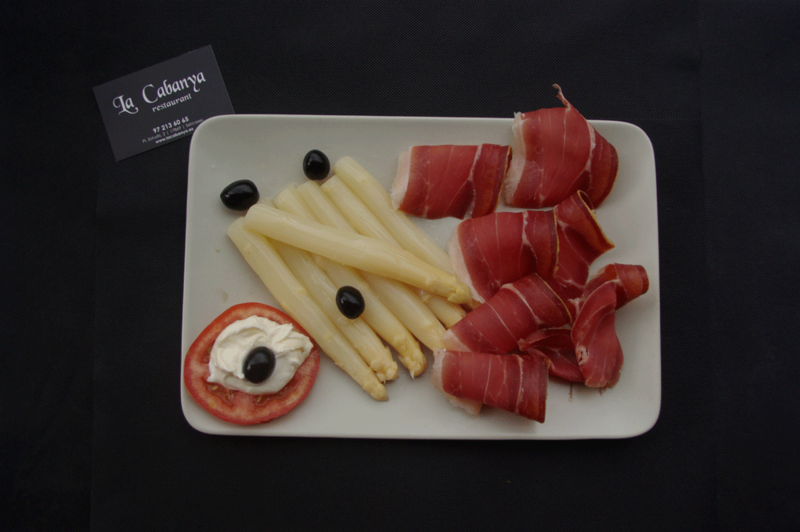 Those who have slept at La Cabanya start their morning with a breakfast buffet, sweet and salty, hot and cold, with cold cuts of the Rippolés area included. 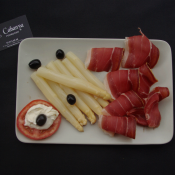 Customers half board can choose between lunch or dinner and if you have full board, you will enjoy our food at lunch and at night. 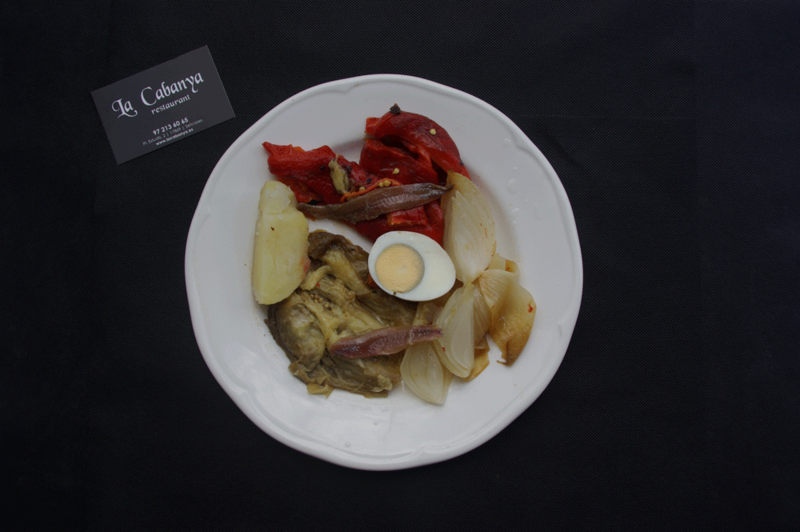 And obviously, doors are open to anyone who wants to enjoy home and proximity cooking, known as Km0. 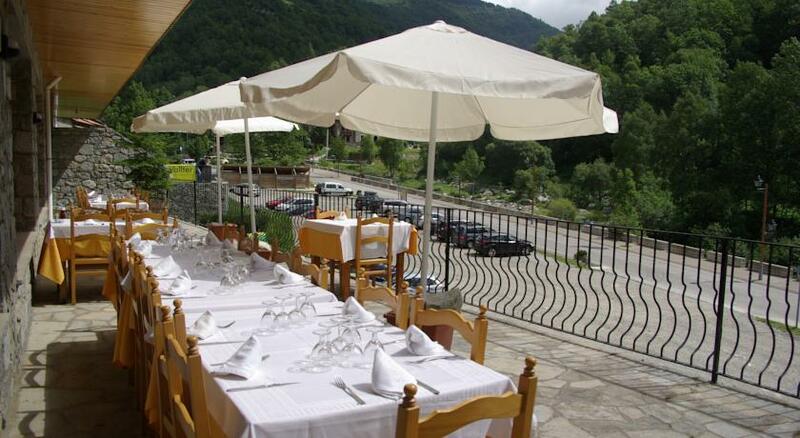 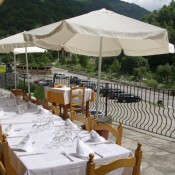 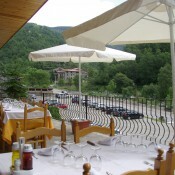 On our outdoor terrace with a capacity of 30 people you can enjoy the sun and the summer air. 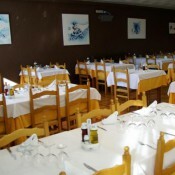 If you want to make a private celebration we offer the multi-purpose room for 50 people, birthdays, baptisms, communions, weddings. 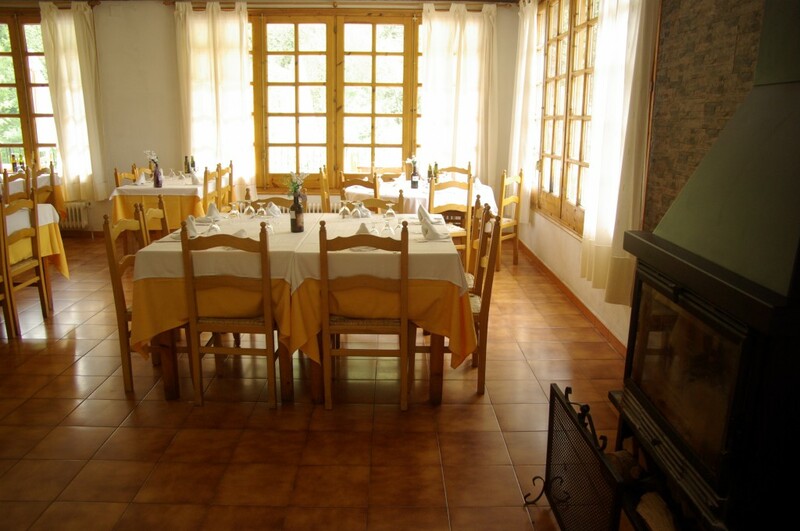 In the latter case, the private room can be converted into a dance hall, while guests will use the main room to eat. 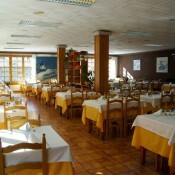 Bar with a fireplace for breakfast , enjoying tapas, a hot or cold sandwich, a beer or a snack. 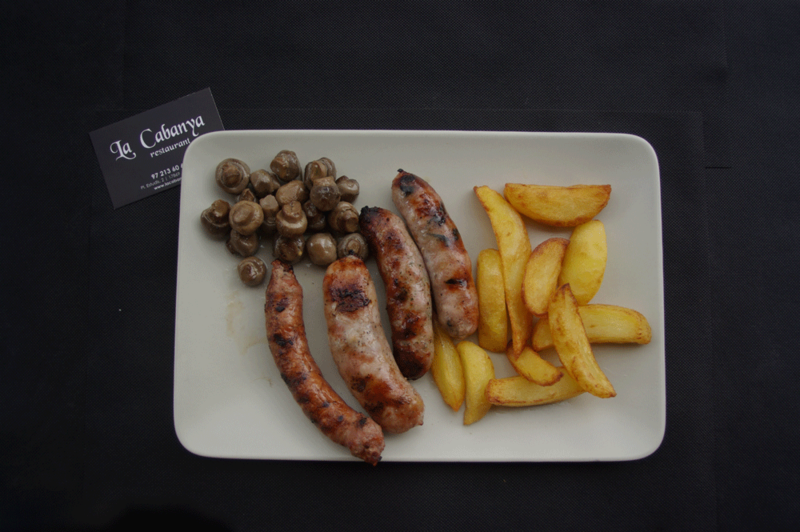 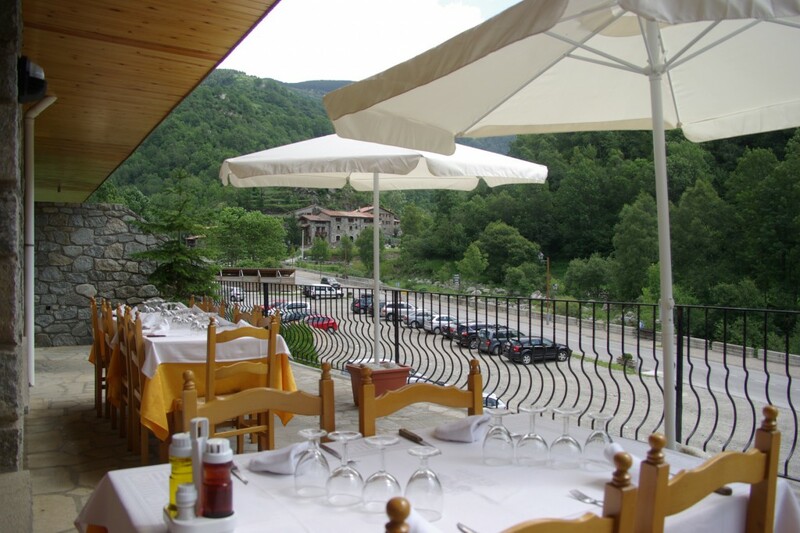 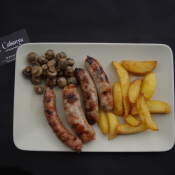 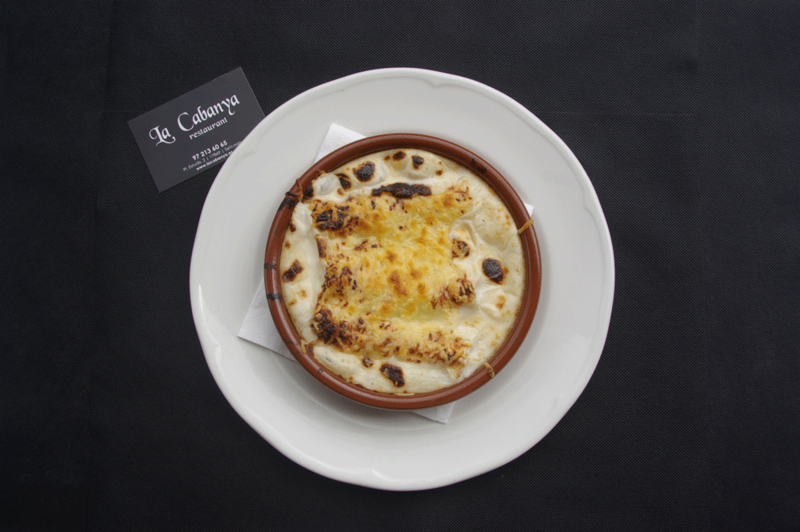 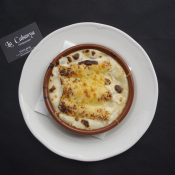 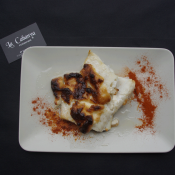 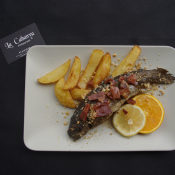 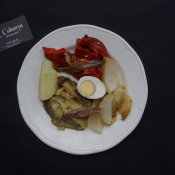 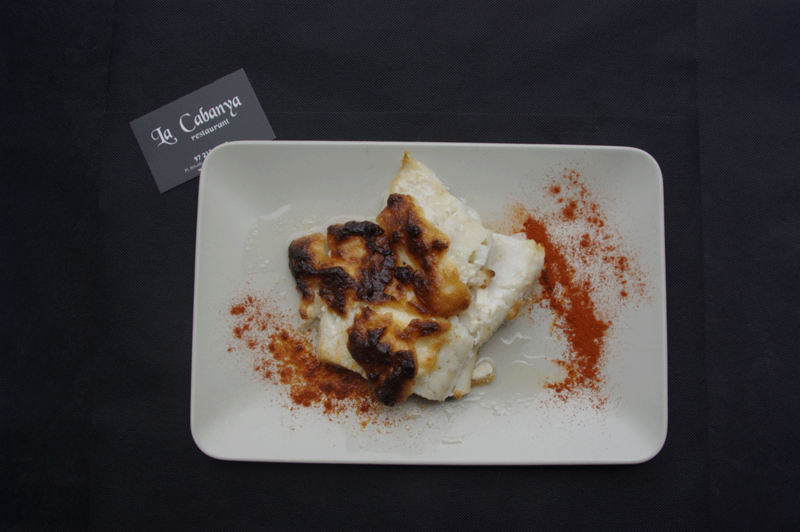 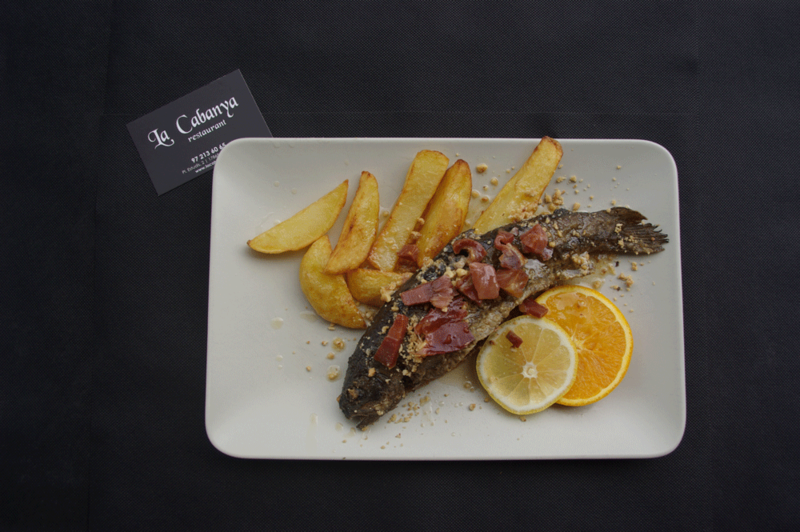 Our food is made with products from the Camprodon valley,from the Ripollès or Girona area; fresh and seasonal. 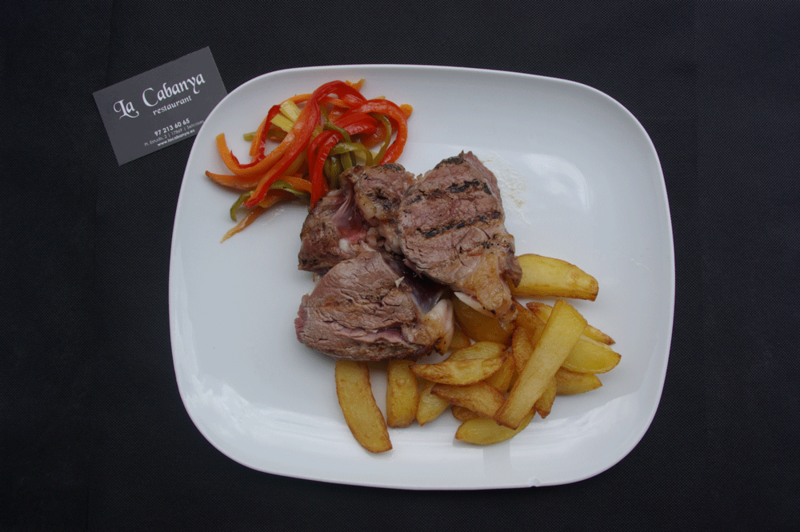 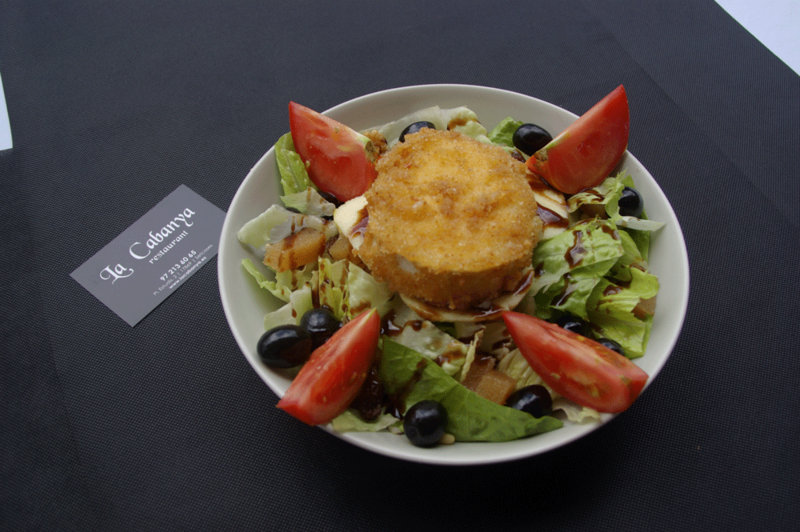 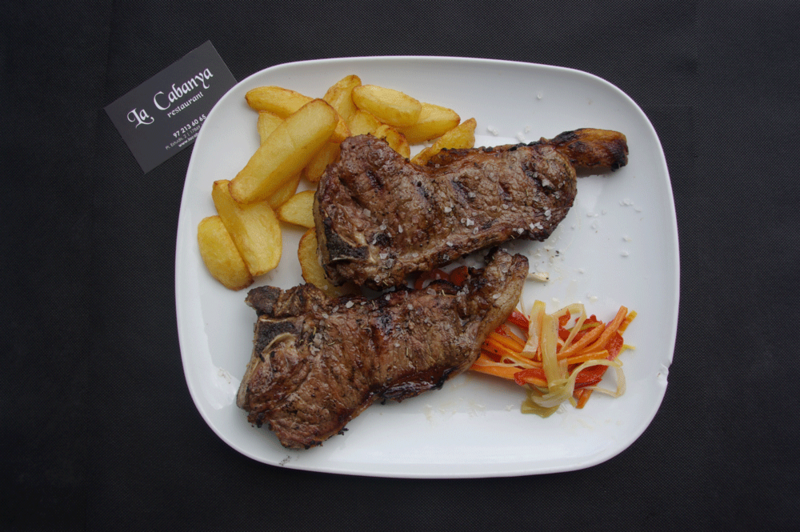 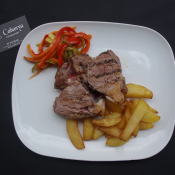 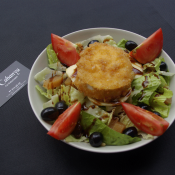 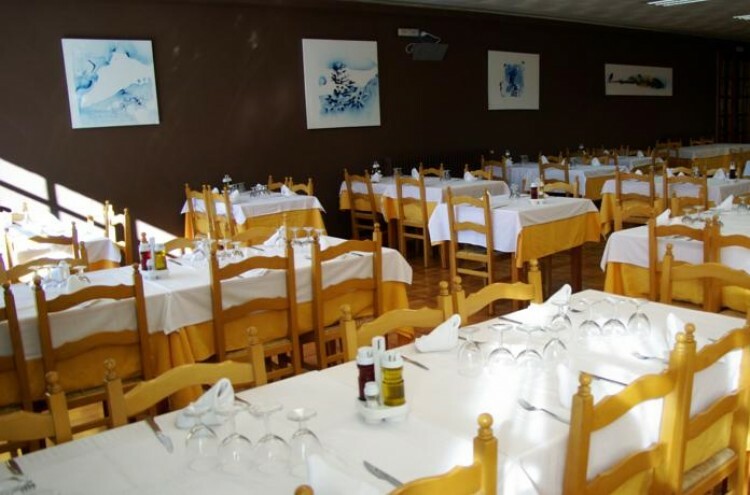 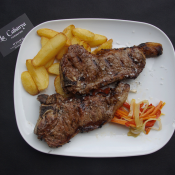 We have a variety of dishes: salads, cold meats, grilled meats such as lamb from Setcases, stews like veal with mushrooms or wild boar in the rancio wine and we also have menus.